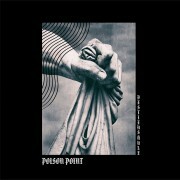 Poison Point is born in the form of a one man-machine band in 2015 and operated by french boy Timothée Gainet. It features screaming synths hammered by a frantic drum machine, topped by tim’s echoed vocal to rule over the dance floor fog. Since august 2016 Poison Point is a two piece band, join by Arnaud Derochefort on keyboards, live drum machine and programming.